For Hughes, the attempt to catalogue the porters’ descendants is an extension of a decades-long attempt by the Museum to shine a light on the legacy of the Pullman porters, whose descendants include Whoopi Goldberg, radio host Tom Joyner, and actress Taraji P. Henson. But the legacy of the Pullman porters is still being felt in other ways to which the museum draws attention. Their union, the Brotherhood of Sleeping Car Porters, was the first African-American labor organization chartered by the American Federation of Labor. E.D. Nixon, a Pullman porter, helped organize the Montgomery Bus Boycott and recruited Martin Luther King Jr. to lead it. Asa Philip Randolph, the leader of the Brotherhood of Sleeping Car Porters, was one of the organizers of the 1940s March on Washington Movement. Hughes created the national registry in 2000 to document the Pullman porters, but the project has since expanded to include those who had worked on the trains in other capacities, such as dining car waiters or brakemen. The museum launched an advertising campaign asking for surviving Pullman porters or their descendants to send information for the registry. The impetus to include the descendants of the sleeping car staff in the project originated from the “parade of descendants,” as Hughes put it, that came to visit the museum. People who had what Hughes described as a certain spirit or air about them that marked them as different would stop by. As they were leaving, they would invariably mention that their grandfather had been a Pullman porter. Hughes became interested in these descendants. She wanted to know how the experience of a man who had worked on the Pullman cars might have led him to impart certain traits, such as integrity and self-pride, to his family. The museum eventually found assistance from DePaul University. Hughes heard from a friend that DePaul sometimes adopts a nonprofit organization in order to lend it technological support, and submitted a proposal. In 2015, the University’s Irwin W. Stearns Center assigned a class from the College of Computing and Digital Media to digitize the registry, which went live in February 2016. Hughes hopes to finish adding to the registry by August 2020. A year before the digitized registry went online, on February 19, 2015, President Obama designated the Pullman Historic District a national monument, bringing it into the National Park System. In a speech he made that day, he praised the legacy of the Pullman porters. One of the great-granddaughters of a Pullman porter, he told his audience, was now the First Lady of the United States of America—Michelle Obama. “Him making that remark in the designation speech also then made my light bulb go on, and thinking, ‘This is exactly what I’m talking about,’ because you never know who is a descendant,” Hughes said. Once the registry was online, and with the attention that the 2015 designation and Obama’s speech had given to the porters and their descendants, Hughes began to consider renewing the museum’s focus on the descendants of the Pullman porters. She returned to the registry a year ago and noticed other prominent descendants she had singled out before. She has now begun reaching out to them, hoping that they might provide support for the registry. Last year, David Peterson attended an event hosted by Google where he met JinJa Birkenbeuel, president and CEO of the digital strategy agency Birk Creative. He was, Birkenbeuel remembers, “armed” with magazines about the museum. She told Peterson that her grandfather had been a Pullman porter, and after that meeting the two kept in contact. On February 24, Birkenbeuel was honored as the first recipient of the Descendant of Distinction award at the museum’s Gentle Warrior Awards Gala. The award, which Hughes originally hoped Michelle Obama would sponsor, illustrates the museum’s new focus, and Birkenbeuel hopes that it will encourage the museum to find other descendants to contribute to the story of the Pullman porters. Birkenbeuel’s maternal grandfather, Raymond Bruce, she says, began working as a porter before the Depression, and it remained his main employment until his death. Unusually for a Black railroad worker, he would on occasion fill in as a conductor, because his green eyes, light skin, and straight hair allowed him to pass. Birkenbeuel described her grandfather’s forays as a conductor as a double-edged sword. 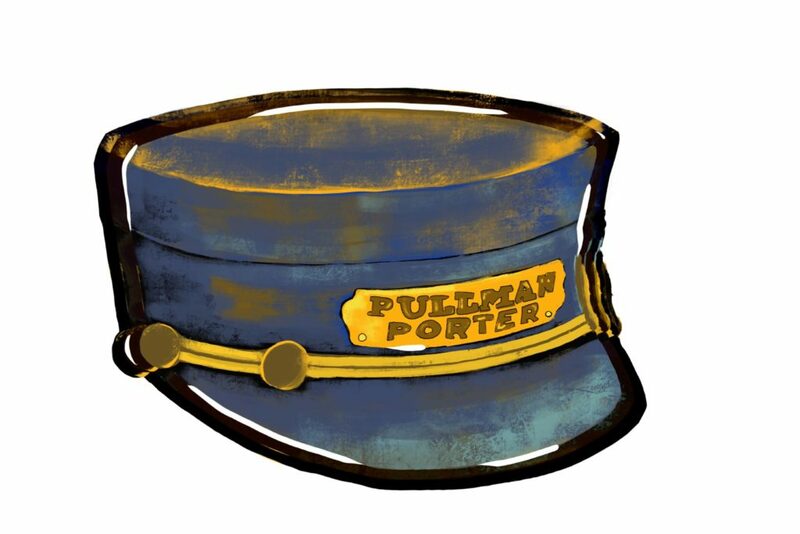 Many Pullman porters’ experiences can be described the same way. They were able to occupy positions of relative luxury within their communities while working under taxing and sometimes demeaning conditions. Juan Caicedo is a contributor to the Weekly. Originally from Kamloops, British Columbia, he is an undergraduate student majoring in political science at the University of Chicago. He last wrote for the Weekly about the 2017 Urban Livestock Expo in February 2017.